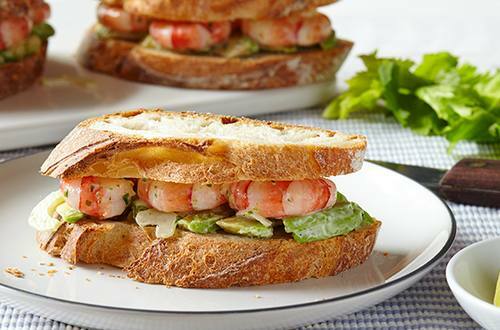 This is a delectable prawn sandwich given a zingy twist with parsley, lime, pepper sauce & Hellmannâ€™s mayo. 1 Combine all ingredients except bread in medium bowl, then spread your little friends in their delicious mayonnaise sauce on 4 bread slices. 2 Top with remaining bread, and congratulate yourself on a job well done.